Before you can start shopping for Florida discount auto insurance you absolutely must understand how Florida insurance laws are written. While it isn’t likely you’ll be able to purchase a policy that falls below state guidelines, it is possible that you’ll find yourself underinsured if you do so. Here are a few things you need to know about auto insurance in Florida. No matter where you purchase your Florida discount auto insurance policy, the coverage you will purchase is considered to be no-fault. This means that regardless of who caused the accident, both drivers are considered not at fault when it comes to personal injury protection and medical expenses. The minimum amount of personal injury protection you can purchase is $10,000. Most states require you to purchase bodily injury coverage. This coverage would pay for a third party’s medical bills if you were to cause an accident. Because Florida is a no-fault state, medical bills are covered under the personal injury protection clause. However, an individual can still sue you for additional coverage, which would be paid out under the bodily injury portion of your policy. Florida does not mandate a specific minimum for bodily injury coverage but it is recommended you purchase this coverage when you take out your Florida discount auto insurance policy in case you are sued. If you do not have this coverage you will be personally responsible for paying any damages. Property damage liability, on the other hand, is a requirement on every Florida discount auto insurance policy. Property damage liability will pay to the damage you do to another person’s vehicle or property if you cause an accident. Florida law mandates a minimum of $10,000 in property damage liability coverage on any policy. As in any state, it is illegal to have a registered vehicle without insurance coverage. If you purchase Florida discount auto insurance and allow it to cancel, your auto insurance carrier will report the cancellation to the Florida Department of Highway Safety and Motor Vehicles. The FDHSMV may choose to suspend your driver’s license until you can prove you have adequate insurance coverage. You may, depending on the length of time you are without coverage, have to pay a fine of $500 before your license is reinstated – along with proving you have the proper insurance. 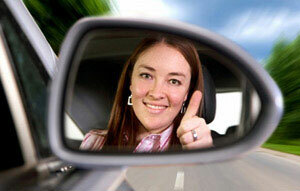 We provide an excellent resource for drivers looking to obtain auto insurance in Florida. Our online system will shop Florida’s most respected carriers, insuring you get a discount policy that makes you feel secure on the road without breaking the bank!